Press Youtube icon to view larger. 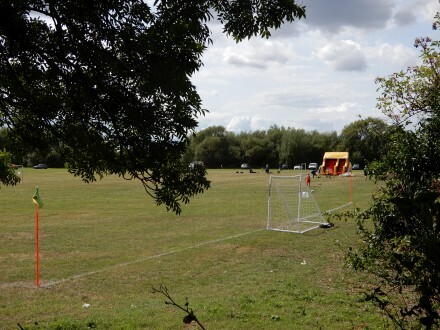 This picture was taken from the Causeway of a field that has been cleared next to Abingdon Town Football Club ground. The field is now being used for additional football pitches by the youth training programme. This is part of the plans from the new management team at the club. 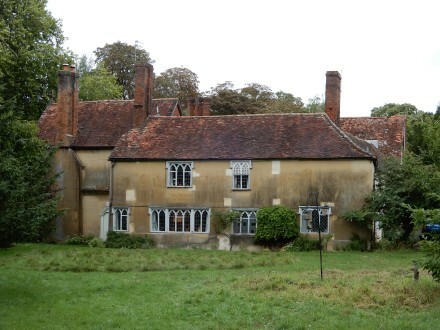 On Sunday we went to The Abbey at Sutton Courtenay, and saw Mike Moon in the grounds. Mike is well known in Abingdon and, in his time, has Chaired the Vale accessibility group, and the Abingdon Fair Trade group. 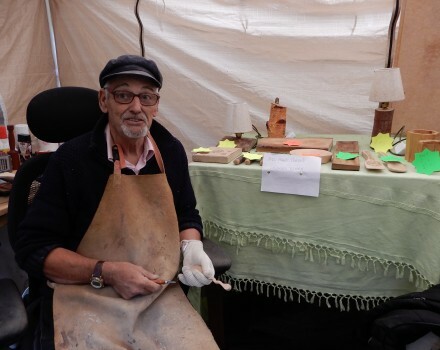 He now Chairs The Shed Oxford which is a workshop where members do their creative hobbies, while doing repair and renovation work at the Abbey in lieu of rent. The Shed has an open day on Saturday September 8th 11am to 6pm. Visit shedoxford.wordpress.com. We had a good time looking round the Abbey. There was supposed to be a Garden Party but it was raining. 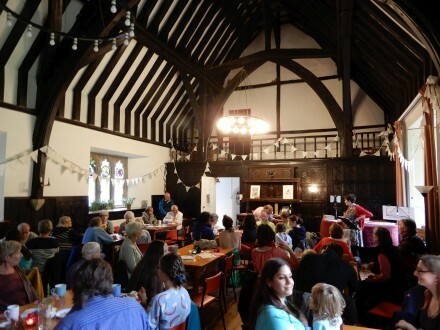 So instead there was food, drinks, music, and a raffle in the great hall, with a roaring log fire. There were also tours round the Abbey. Although old enough to be an Abbey it would probably have been demolished if it has been an Abbey when Henry VIII was about. At that time it was a place where well off clergyman could stay and entertain. 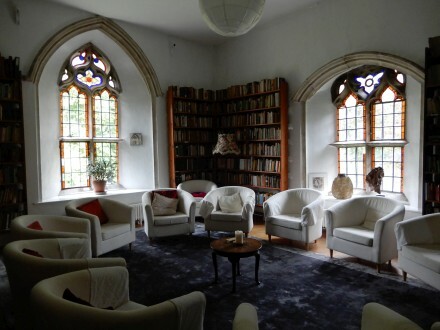 It only got the name Abbey in Victorian times, and is now run as a charitable trust. More information at www.theabbey.uk.com. 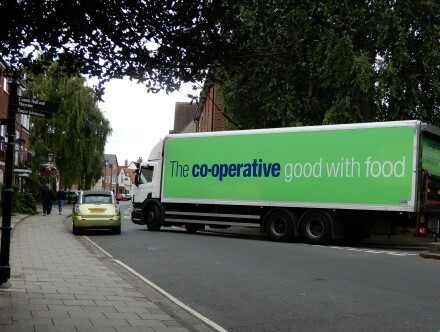 The Co-op lorry is the biggest vehicle that regularly travels down East St Helen Street. The sharp right into West St Helen Street can be made more difficult by traffic, or cars parked in strange places on the road. 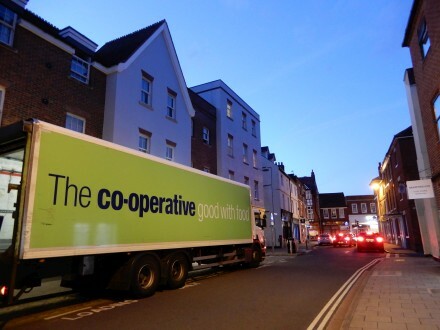 The Co-op in West St Helen Street was built with a loading lay-by in front. There are occasions when a car is parked on this lay-by, causing the lorry to wait and on occasions cause a tail back. 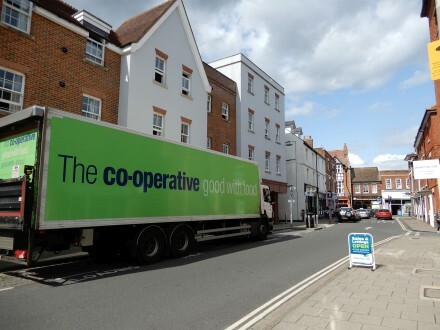 The lorries arrive at all hours laden with 300kg cages on wheels that are pushed into the co-op storeroom. The friendly store staff often help the lorry driver. 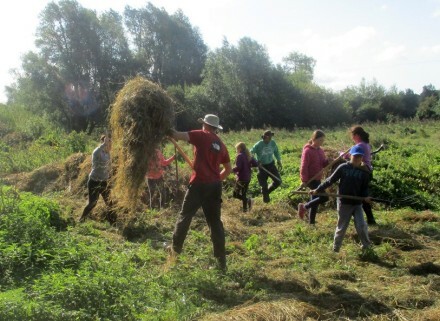 Last Tuesday the grassland in Barton Fields was mowed by a local farmer and on Wednesday and Saturday teams of volunteers helped rake the hay off of the field into stacks. This removes nutrients from the grassland, which helps to increase plant diversity. The stacks rot down providing habitat for grass snakes, voles and other creatures. 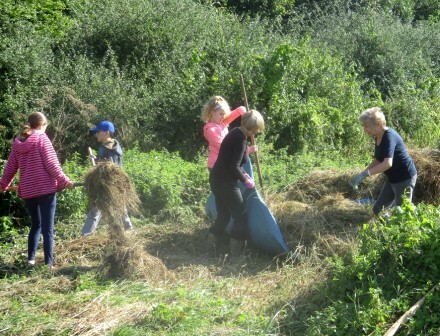 This is a task that the Abingdon Naturalists’ Green Team have done each year for the past sixteen years. It is keeps us fit apart from anything else. 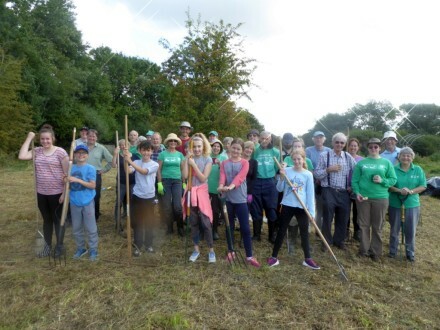 On Wednesday the Green Team raked about three acres into ‘rolls’ ready for Saturday when we had 31 volunteers including: 17 – Abingdon Green Gym, 9 – 2nd Abingdon Scouts and 5 – Barton Fields Green Team. They completed the job in about two and a half hours, including a break with refreshments provided by the Green Team. The scouts particularly enjoyed jumping up and down on top of the haystacks! David says We are very grateful to all the volunteers. Thanks also go to Michael Bloom for the first and third pictures, and David for the group picture, and the scouts’ parents for giving permission for the images to be shown on the internet.